If you’re working with younger players, it’s important to focus on basic fundamentals in the majority of your practice time. This post will cover 12 of our favorite basketball drills for beginners, specifically designed for kids under 10 years old. Basketball is essentially, a game of footwork. Footwork is what allows ballhandlers to slash to the bucket and finish shots around rim. Footwork is what helps defensive players stay in front of their man, deny the ball, or get into position to help their teammates. Footwork is how rebounders get into position, box out and retrieve loose balls. In fact, if you look at some of the greatest NBA players of all time, like Hakeem Olajuwon, Michael Jordan, and Kobe Bryant, every one of them used nimble, precise footwork to gain an advantage on offense and defense. A lot of kids under 10 don’t naturally have the coordination or balance to do things like pivot, slide, or drop step, so don’t take it for granted. Spend at least 15-20 minutes on footwork drills every practice, especially early in the season. Discover 37 basketball drills for beginners - all designed to build fundamentals, inspire your players and have more FUN in practice! 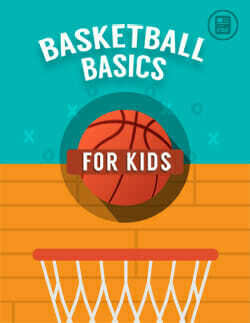 Inside the Basketball Basics for Kids eBook, you'll discover the best way to teach fundamental skills for footwork, shooting, layups, passing, and ballhandling. Plus dozens of skill-building games to liven up your practices, engage your team, and keep your young players coming back for more! All explained with simple step by step diagrams and illustrations. Ballhandling is a blanket term which includes dribbling, passing, and catching skills. All players, whether they’re guards, forwards or centers must be able to handle the ball well. This enables them to be successful in all phases of the game, whether they’re pushing the ball upcourt on a fast break, catching the ball in the post, or pulling down a rebound under the boards. 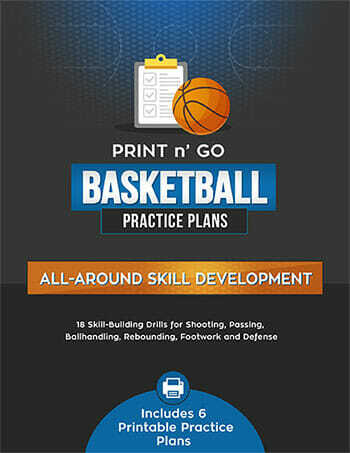 Spend roughly 15 minutes on these ballhandling drills at each and every practice. The third key fundamental is Shooting. The good news is – this is one skill that your players definitely will not object to practicing! However, it’s critical that you don’t spend your practice time mindlessly firing up Hail Mary shots at the basket. Instead, make sure you start by building correct form and fundamentals, then using game situation drills to help your kids get accustomed to knocking down shots with a defender in their face. 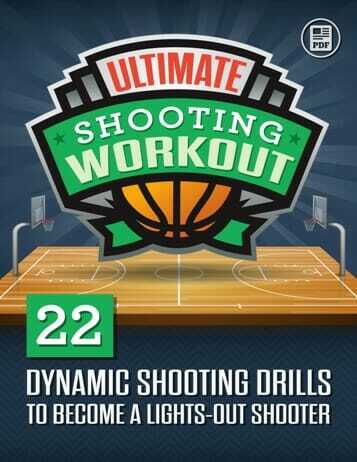 Set aside 15-20 minutes of your practice plan to work on these shooting drills. Shooting Basics for Youth Basketball – B.E.E.F. 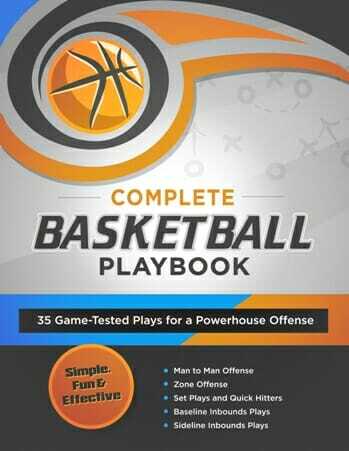 If you enjoyed these beginner basketball drills and want to see more, make sure you check out the Basketball Basics for Kids eBook today!